A few weeks ago I taught a workshop and taught how I like to alter digital cards with real embellishments... also known as a hybrid card. 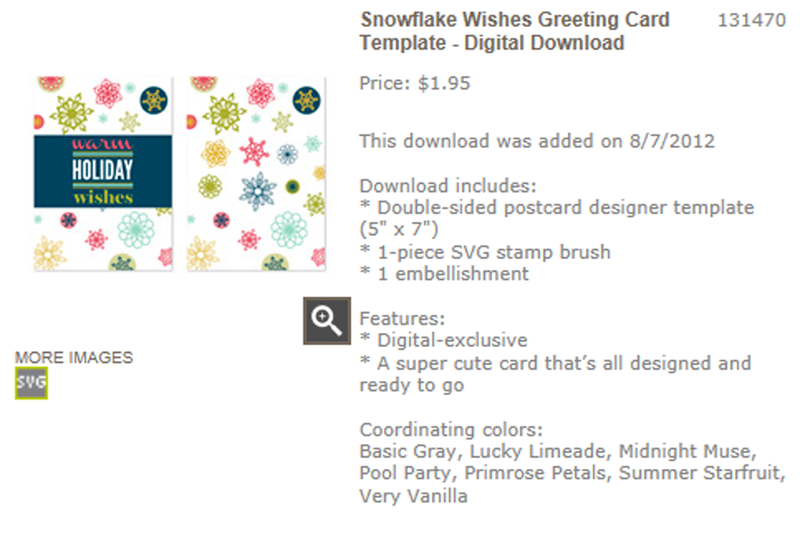 Then sent the card to be printed by Stampin' Up! Two days later, a package of 5x7" double-sided cards with envelopes showed up and I was ready to add some embellishments! 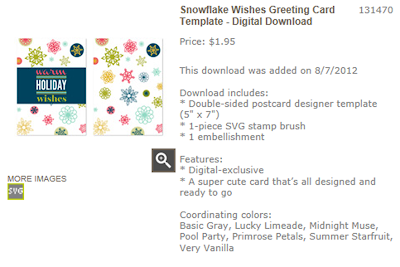 I used my Big Shot to punch out a snowflake out of some silver foil paper and then carefully placed the snowflake on the Northern Flurry embossing flurry over one of the snowflakes and dry embossed it. Once I had my snowflake, I glued it down, added a punched small heart on a Stampin' Dimensional to give it some depth, and finished it off with a rhinestone jewel. From start to finish? This is one of the quickest cards I've ever made and it would be a great card to mass produce for Christmas. The backside of the card has the same pattern as the front and makes a great place to write a note using a black pen. Have you ever made a hybrid card before? Great hybrid card! The little bit of dimension makes such a difference.